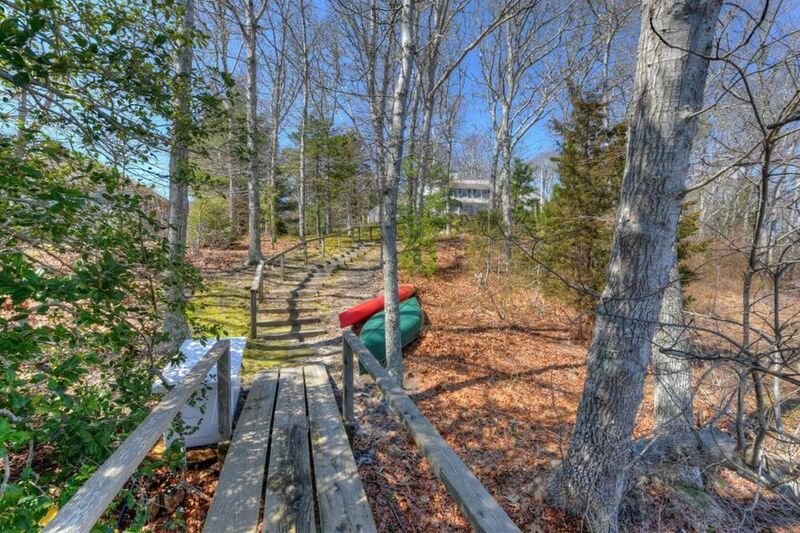 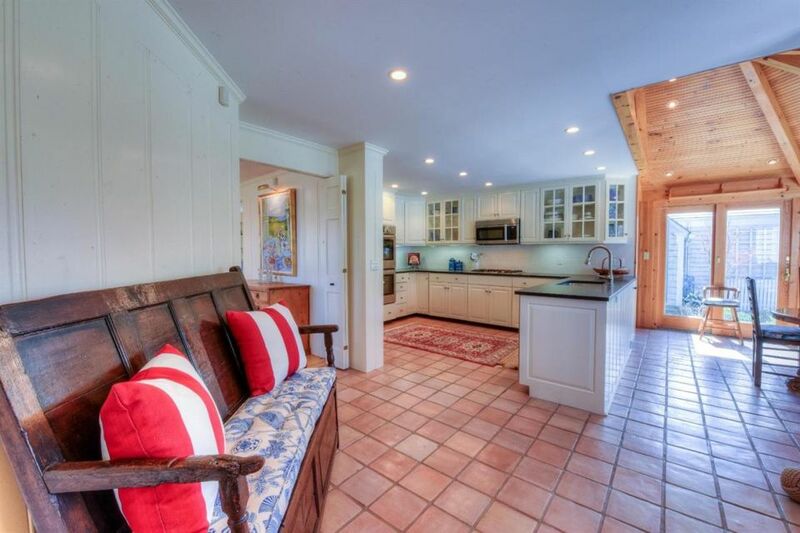 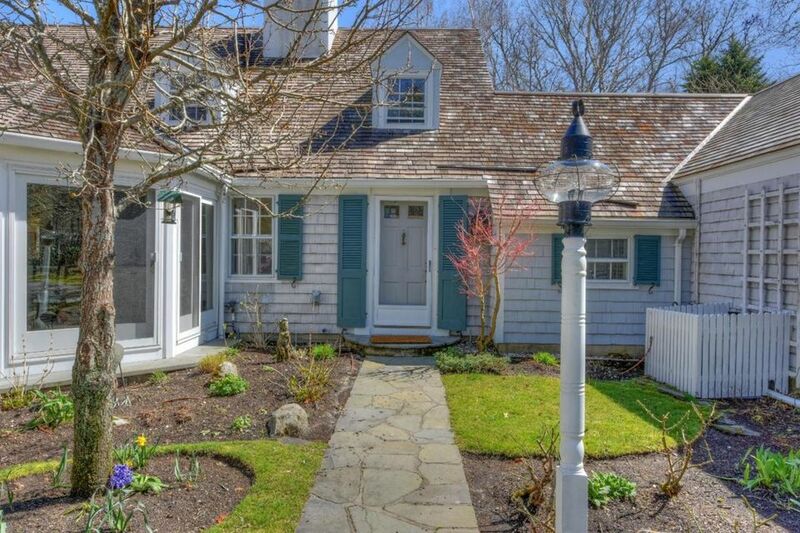 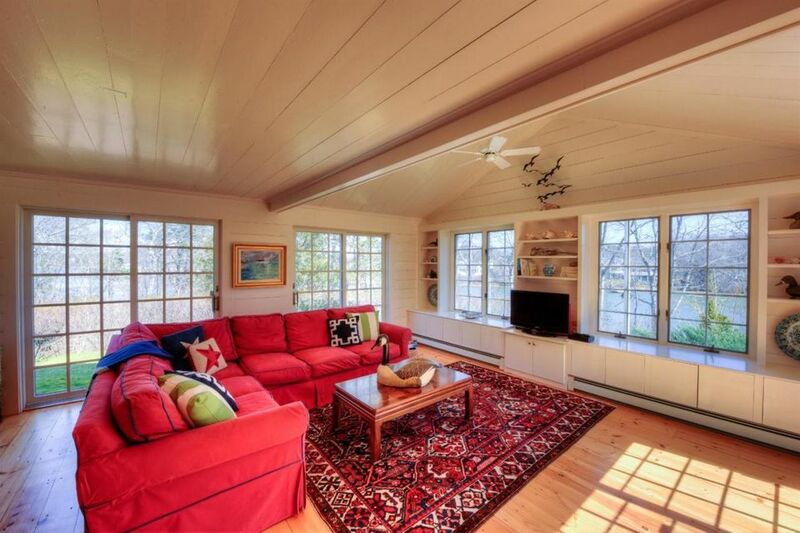 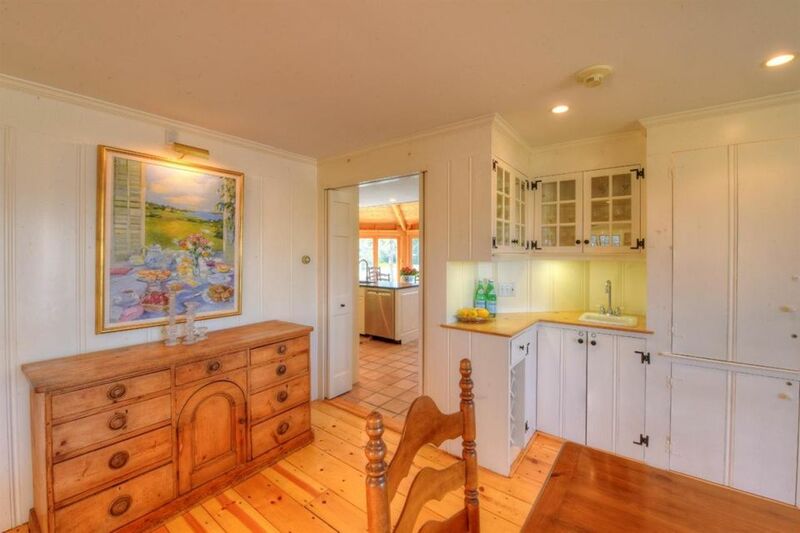 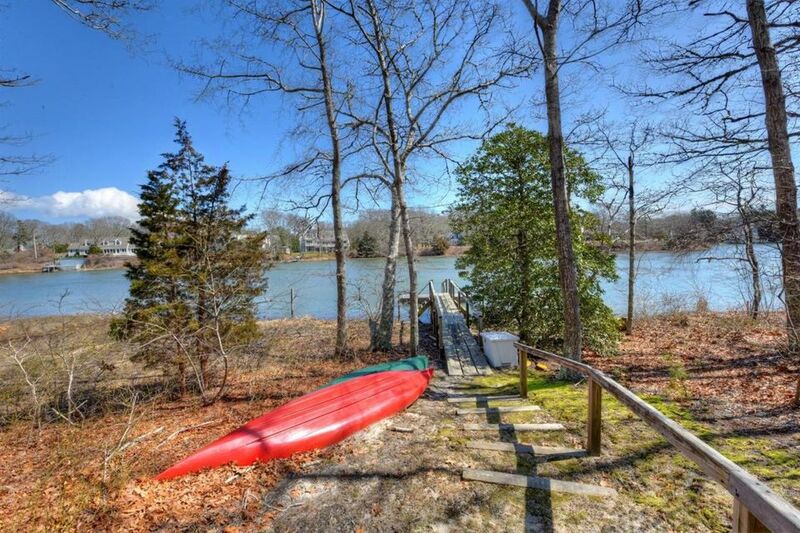 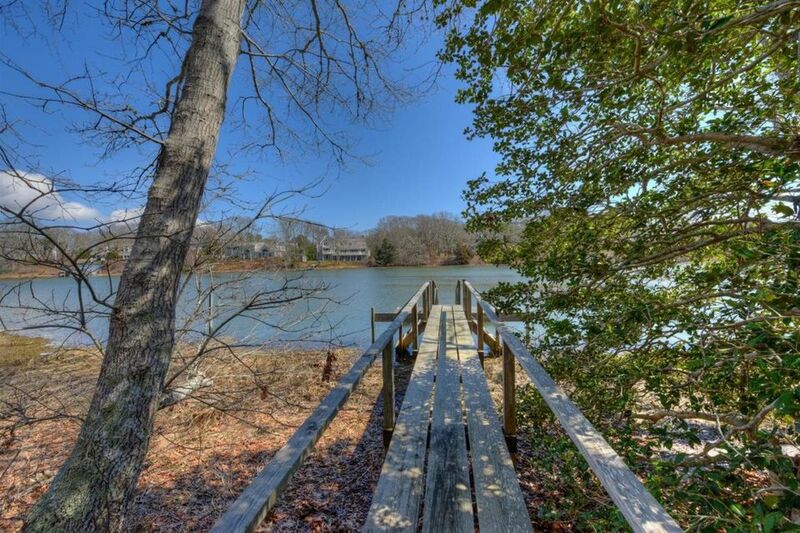 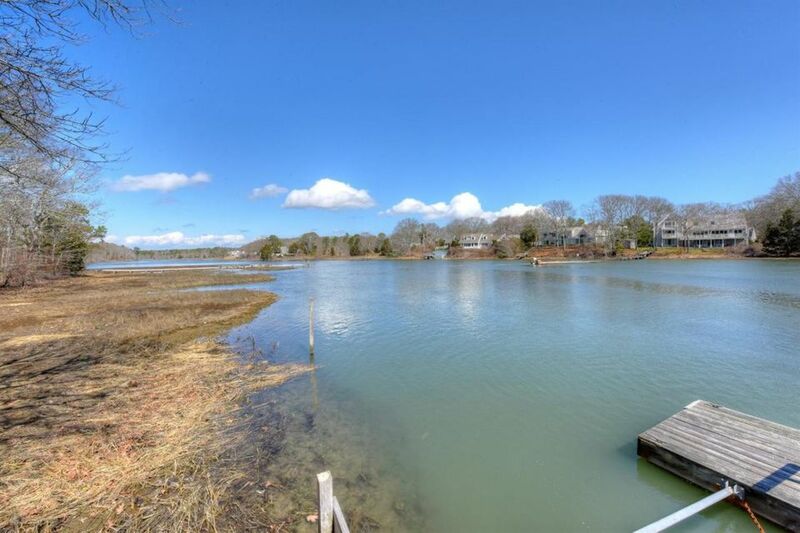 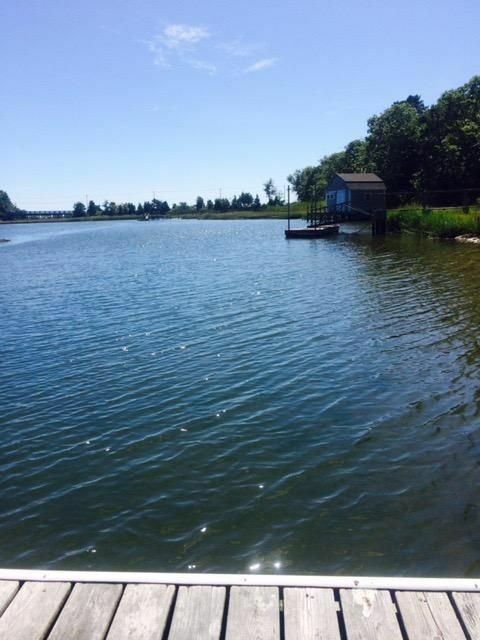 Beautiful Cape Cod waterfront property with its own tidal island and private dock. 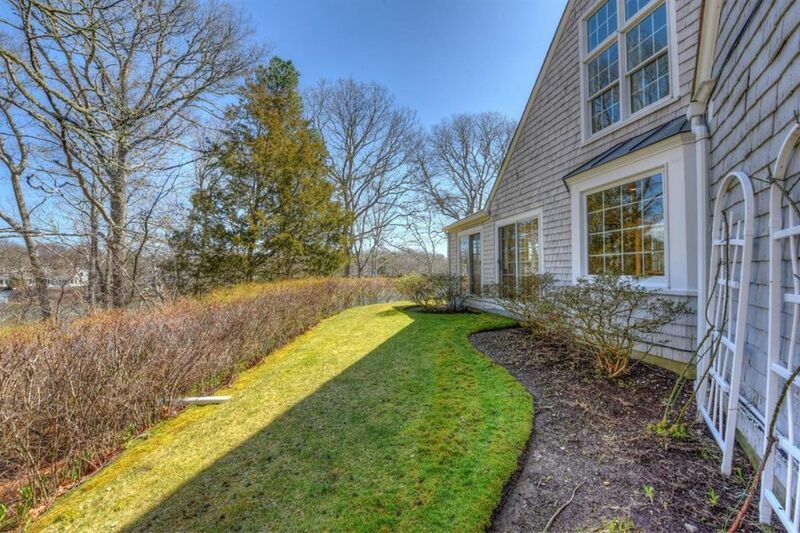 Enter down a long tree-lined driveway to an amazingly landscaped yard showcasing beautiful flowering trees, shrubs and flowers. 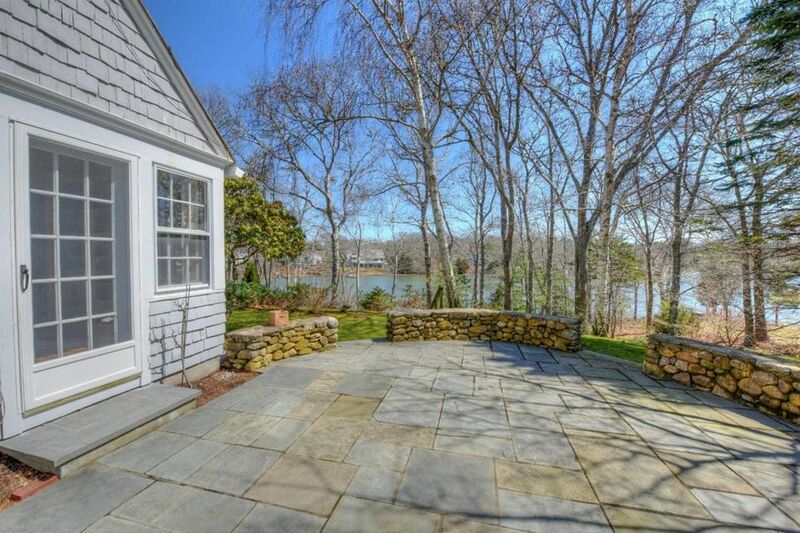 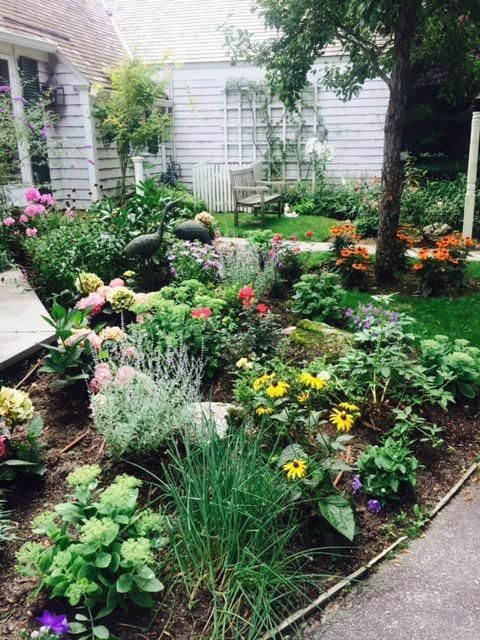 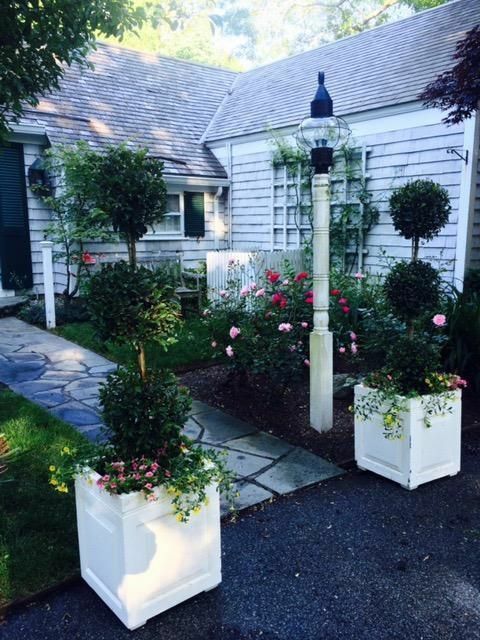 The almost two acres boasts a blue stone patio, stone walls, and privacy, yet is located close to the village center and Dowses Beach. 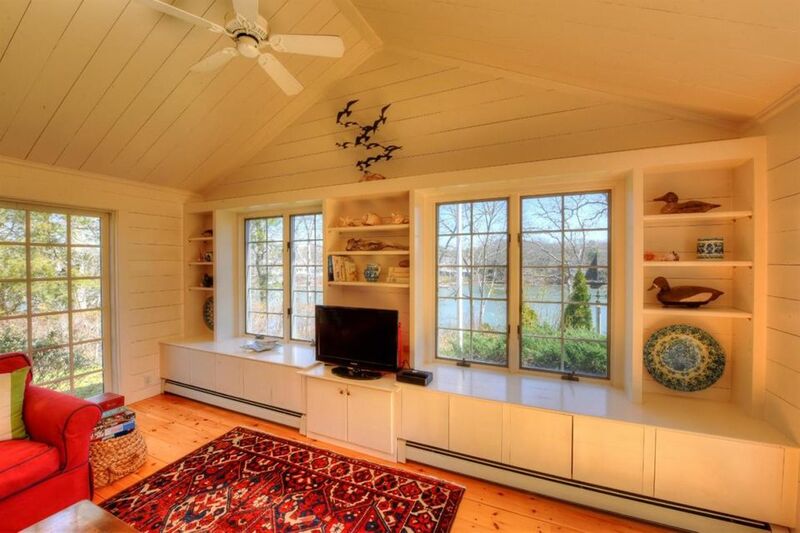 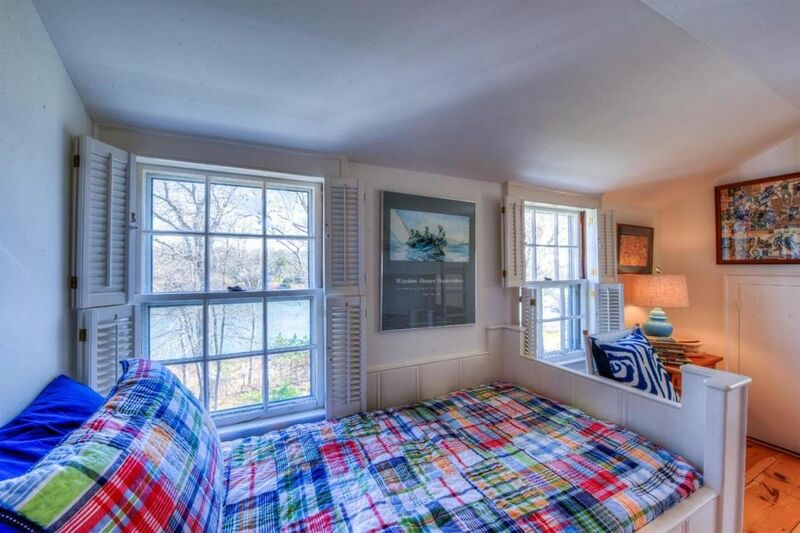 The interior is light and bright with large window views to the water in most rooms. 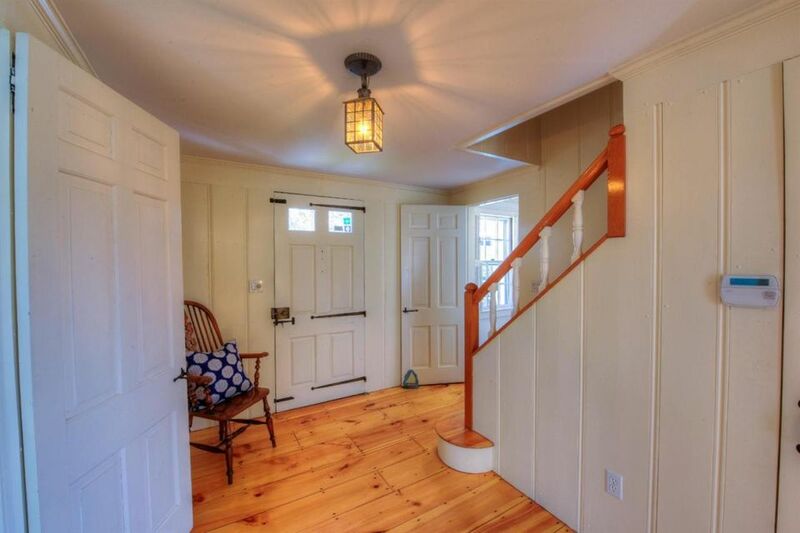 Wood floors recently refinished. 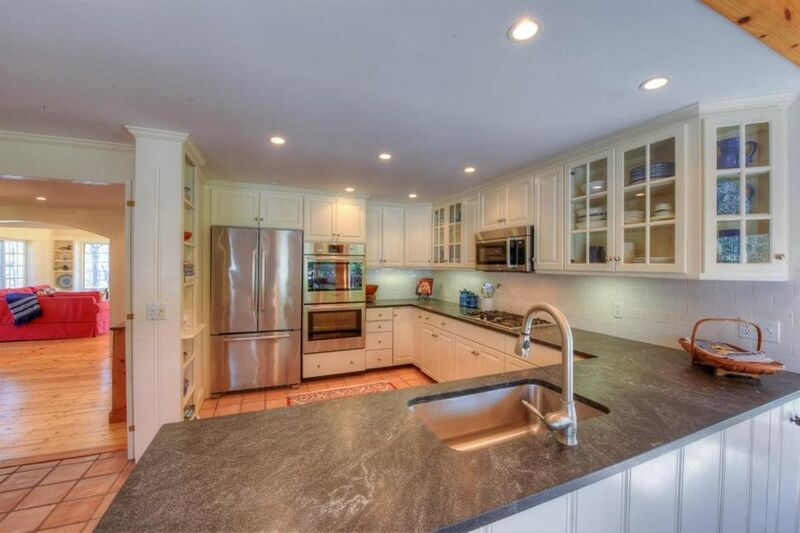 Open kitchen with new high end appliances, counter tops and fixtures. 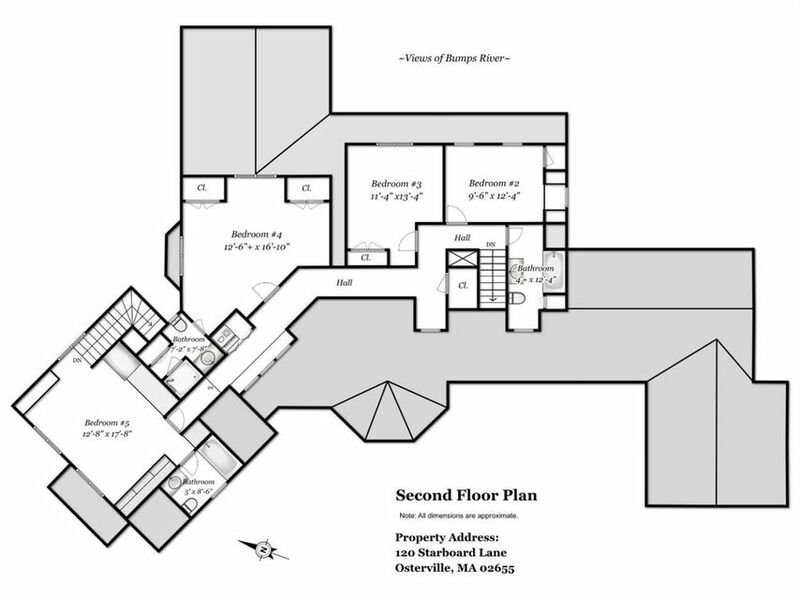 First floor master suite with dressing room and French doors to patio. 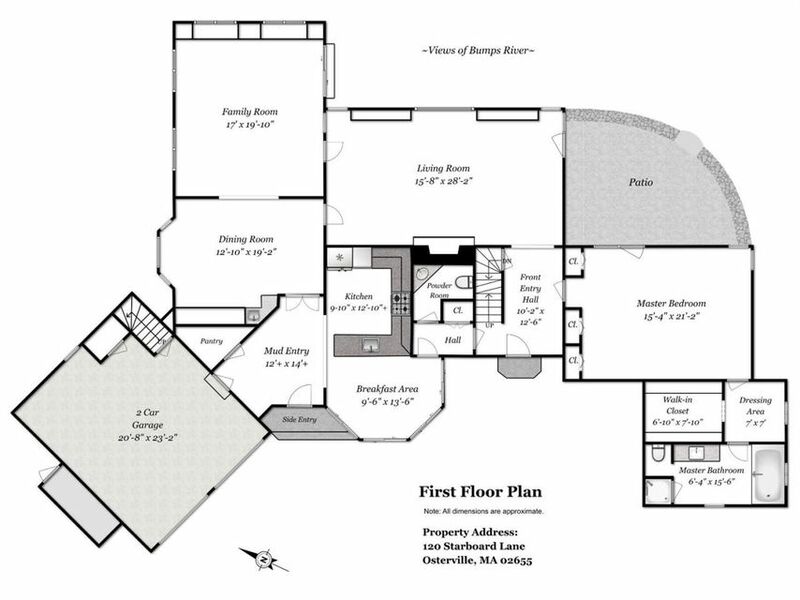 First floor includes family, dining and living rooms with built-ins, gas log fireplace, kitchen with breakfast room, and large master suite. 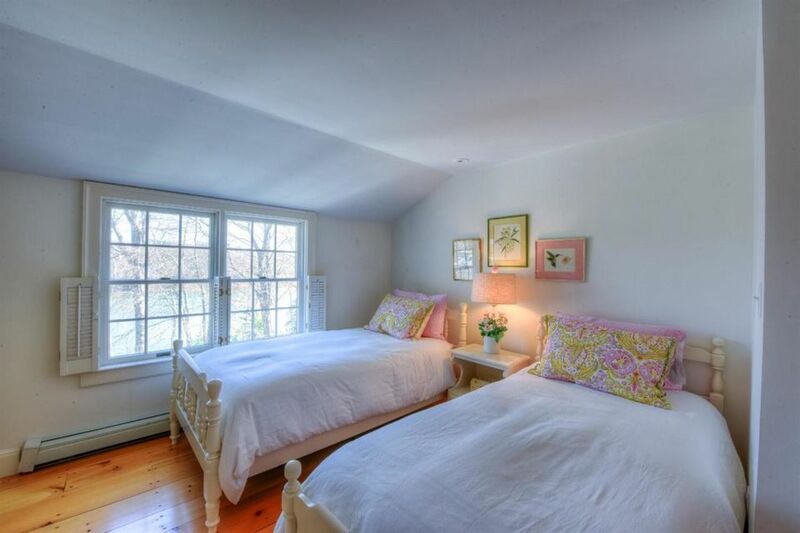 Upstairs find four bedrooms, two are en suite with one having private access, and second laundry. 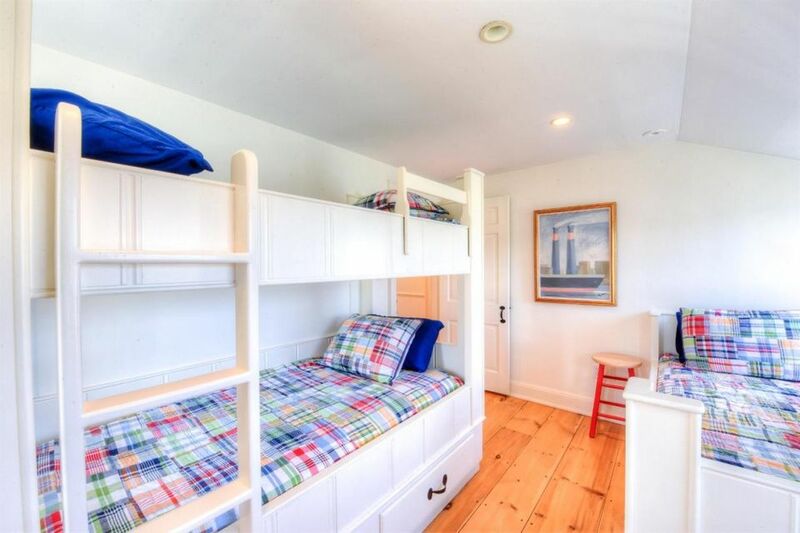 Cedar closet and laundry in lower level. 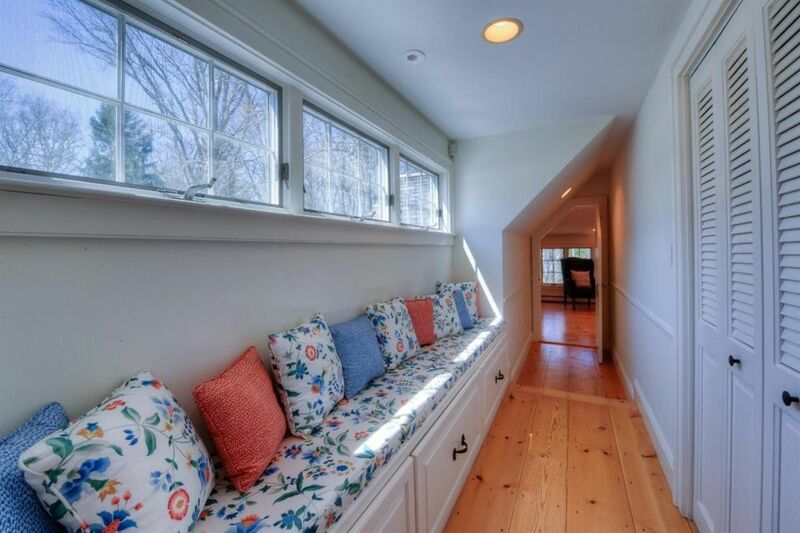 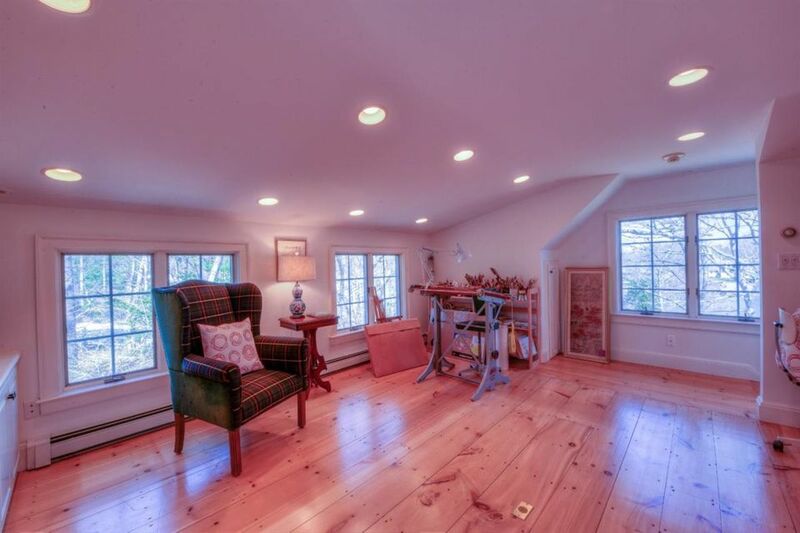 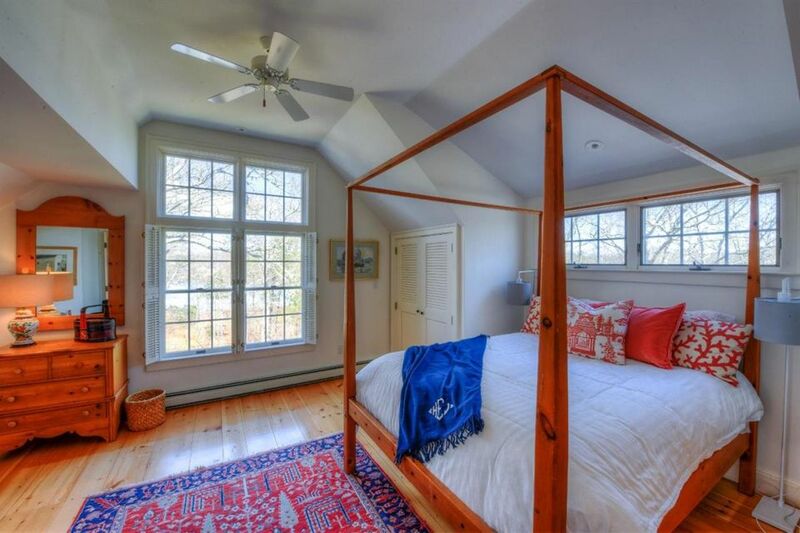 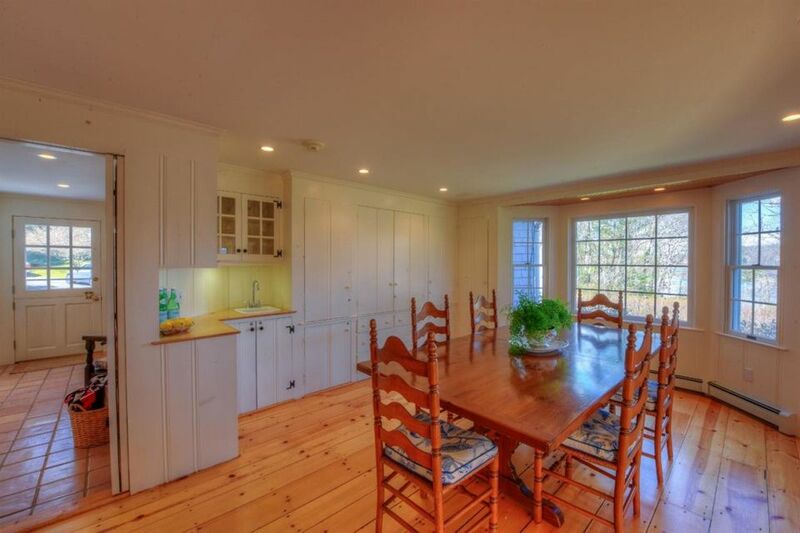 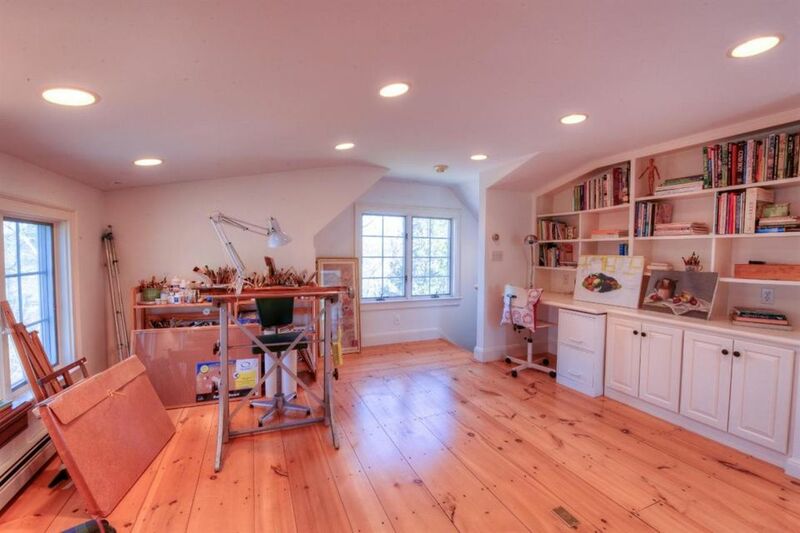 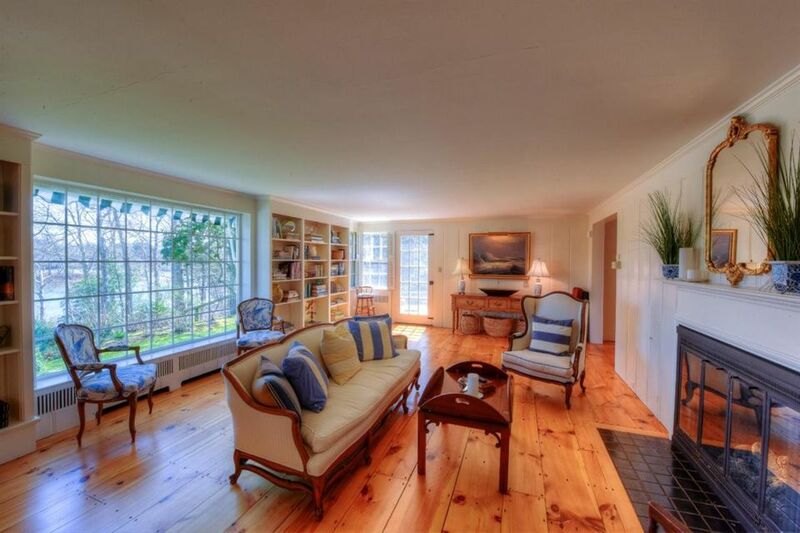 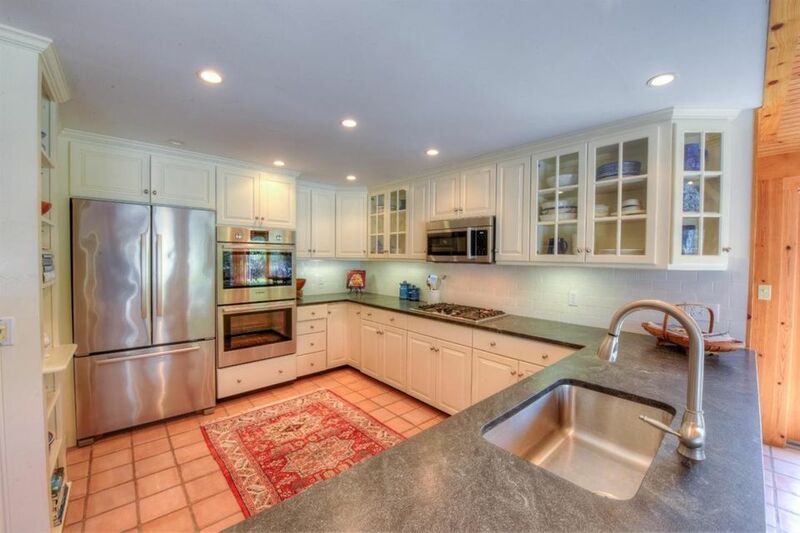 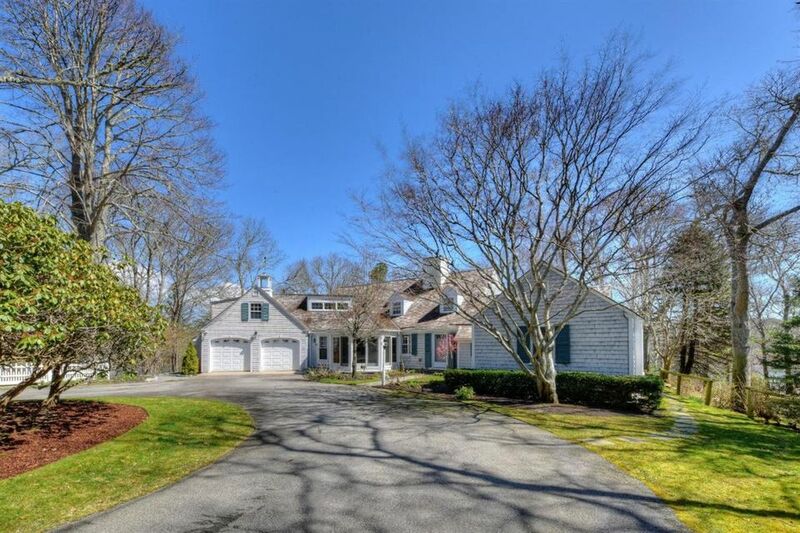 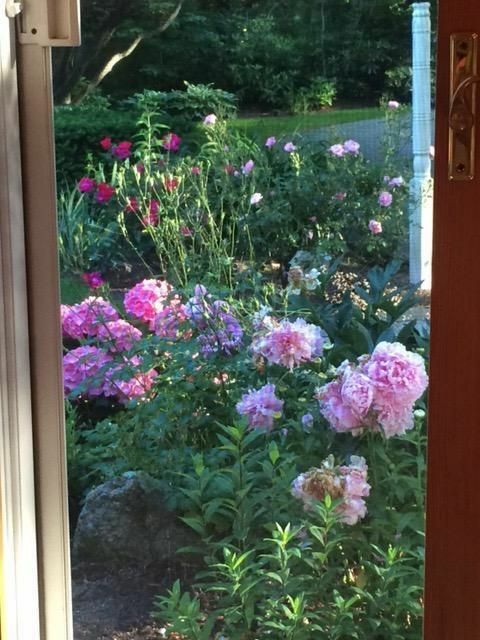 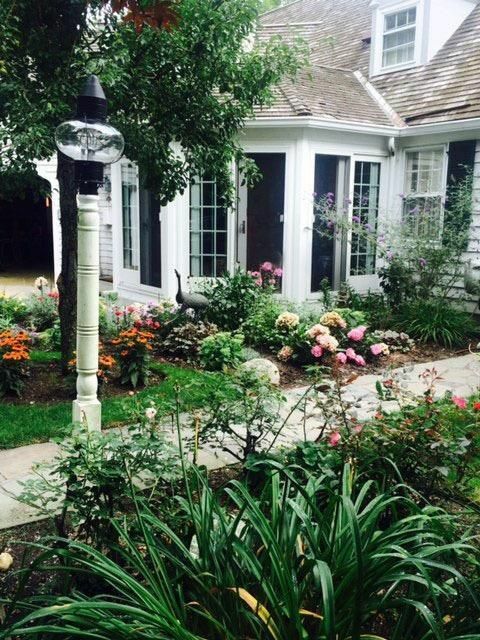 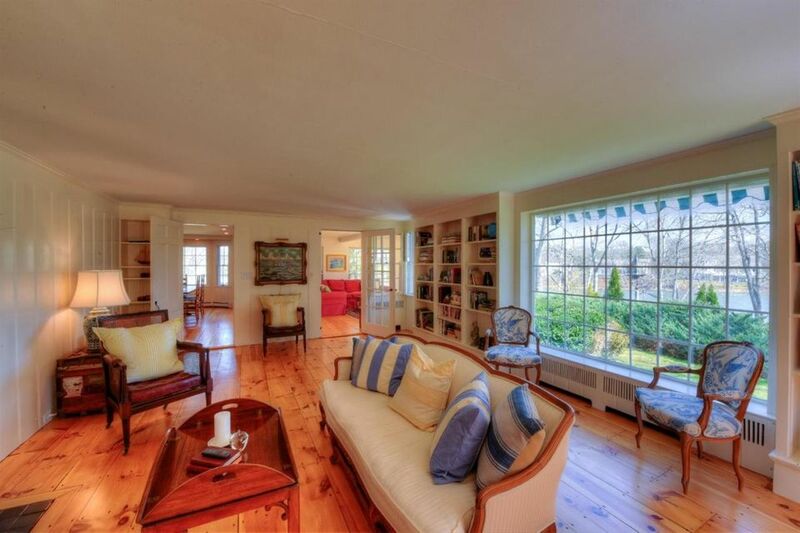 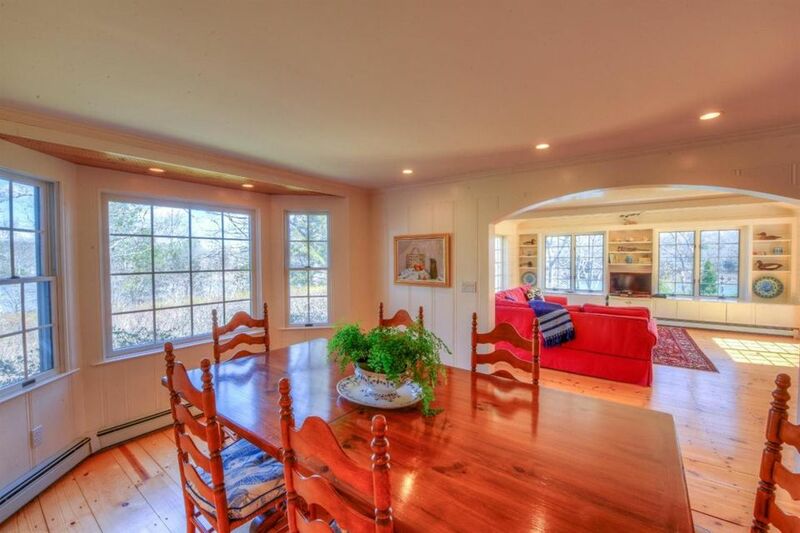 This five bedroom five bath home is very well cared for and is truly an outstanding value in Osterville.